Maintaining Cooling Towers can Avoid Major Problems | Manufacturers of Cooling Towers & Systems | Delta Cooling Towers, Inc.
Water cooling towers need to be handled with as much care as just about any other important appliance. No matter what industry you work in, proper maintenance, checks, and repairs should be done in order to prevent any serious issues from occurring down the line. According to Ethanol Producer Magazine, neglecting cooling tower maintenance can cause even more problems during the summer. "Run to failure is kind of what happens," says Frank Foster, vice president of Tower Performance Inc. "If people hear the fan turning, motor running and water falling, they assume everything is okay." Foster adds that because people rarely place as much importance on cooling towers as they do on other equipment, the cooling towers are much more likely to have problems. That's why regularly inspecting, repairing, and maintaining all of your equipment is essential to running a successful business. Along with competent water treatment service, recommended that cooling towers should be periodically inspected to prevent mold growth, corrosion, and deposits leading to a reduction of efficient energy by around 5%. Purchasing quality cooling towers that will not have immediate problems is important for business. Delta Cooling has corrosion proof plastic that enables excellent longevity and can handle the most aggressive water treatment to prevent issues. 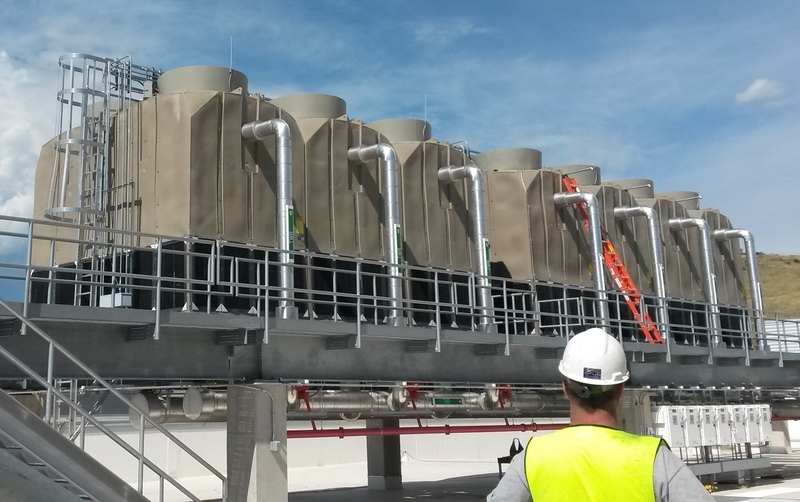 High quality cooling towers focus on reduction of water use. They are manufactured to recycle at least 98% of water. Recycling this water helps for both reduction of water use and the amount of energy being used. Simply just performing a piping change to discharge any blowdown water can improve the efficiency of the cooling system and help the reduction of water use and water management. "They are a neglected piece of equipment," Foster says. "They aren't inside the plant, they're outside the plant out by themselves, and probably aren't running at prime capacity." Neal Jakel, a ethanol plant manager in Illinois, believes that the summer causes even more issues for businesses because they aren't focusing and maintaining their cooling towers. "A lot of plants still struggle in the summertime with effectively cooling the fermenters," Jakel says, "which dramatically impacts not only rates, but yield and throughput." Foster adds that regular maintenance needs to be a priority on plants -- even if it doesn't seem like one for the employees. "Years ago, plants used to have a guy that was in charge of the tower, and that's all he did," Foster said. "Now, that person has 16 other roles."